And it’s true, you know – we, the rocks, the boulders, the stones big and small would have cried out had the people been silenced . . . but well let’s get now to the story of this night. That first Christmas night, I’ll have you know, it was we, the stones, who were the very first to give Jesus shelter. Joseph, the companion of Mary, couldn’t find any place for the two of them to stay the night, as you know – and especially since it was evident to anyone with half a brain that Mary was having contractions and would soon be in the thick of labor – and who wanted that sort of noise going on all night in their extablishment? But finally, one of the inn-keepers there in Bethlehem offered his stable to Joseph and Mary, and Mary whose water had just broken – at the feet of the gracious innkeeper! (Hah! What a story he’s told over and over the last couple thousand years.) Now, at this point in our story you need to remember – stables back then weren’t like your barns and stables are now – not a lot of wood to build that sort of thing – but a lot of rocky mounds, a lot of stone – and so it was we, the stone caves, that were the only stables in that part of the country. Anyway, so it came to pass that one of us stone caves gave shelter that Bethlehem night, not only to a few animals but shelter to Joseph and Mary as well. And just as soon as the two of them were settled, then we, the stones of that cave, heard the cries of Mary’s labor echoing off our walls (and though we just a bit later would learn that Mary was the Mother of God – an easy delivery apparently wasn’t part of the deal, God seeming to have particularly big shoulders making labor no picnic for the Mother of God). And so it was that we, the stones of that cave, it was we – with the animals there – it was we that were the first to hear the cries of the new-born baby who had finally burst forth from Mary’s womb; yes, we were the stones who heard Mary sigh with relief and who heard Joseph trying not to sound verklempt, trying to cover his tears of awe, of amazement, and of relief with a cough that fooled no one. Those sounds and more: we, the stones of the cave heard the voices of all sorts of human beings who kept coming in and going out of our cave, some of their voices hushed, some excited, some ecstatic. But like every created thing – some of us stones were moved sooner than others to believe the wondrous truth the sounds of that night were telling – take for instance, the stones of the Judean hills that heard the angels singing that night. The stones there had heard the angels sing before – that was no big whoop; rather it was what those angels were singing and to whom the song was being sung: “Peace to the whole world with whom God is well pleased,” the angels sang. OK, so some of you, two-thousand or so years later might take that sort of greeting for granted, but to the stones that had to live day in and day out with those dirt-ball shepherds it was an unthinkable greeting – a more gross bunch of low-lifes not even God could have found – and the implication? Well, it was that God, by wishing peace upon these gruesome shepherds, God was thereby declaring God’s peace to all the dirt-bags in the world, all the n’er-do-wells who at every turn, like the shepherds, seemed hell-bound to invoke nothing less than the eternal fury and wrath of God. God at peace with all the schmucks of the world? How could this be? Hell, even the shepherds themselves wondered. “Well, go to Bethlehem,” declared the angel, “go to a stone stable there and see God’s peace with you and the whole world – wrapped in swaddling clothes and lying in a feed trough hollowed out of the stone wall of the cave. And at that, the message traveled through the crystalline structures of Judea’s stones, travelled back to the stones of the cave. Now, since we the stones of cave, along with all the stones of the world had been around to hear the voice of God putting the universe in order, we, the stones of the cave, quickly added all of these things together and we knew, we just knew, WE KNEW!! The sound of the infant’s new-born cries – though definitely higher-pitched – still bore the exact-same sound – this was the exact same voicethrough which God in the beginning spoke when God was busy bringing order out of chaos. 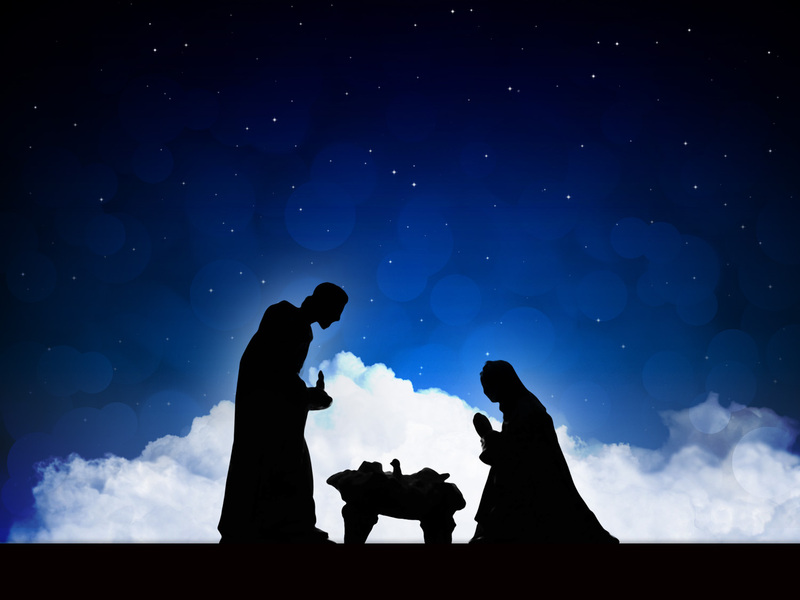 We knew it, then and there – the infinite, most high God who had spoken forth a universe from a little speck of dust – that Most High and Only God had become, of all things – A BABY!!!! Oh!! And how we, the stone of the cave, cried out in delight – this truly was God coming to the world in peace . . . not as a vengeful, graven deity to fear, not a angry smoke-belching deity who needed all sorts of blood sacrifices, not a get-even god, not a national god, not a god of political parties and ideologies, not even a god of unchanging rules – but here, God as a hungry, crying baby who was totally dependent upon the Mother of God and her companion, God dependent upon a mother’s milk, God dependent too upon the kindness of strangers. God who just then – oops! – threw up on Mary’s shoulder while she was burping him – Oh wasn’t that wonderful!! – the God who burps and throws up!! And then – those dirt-ball shepherds showed up – and the baby – he didn’t shriek in disgust at their arrival like any sensible adult would have done – no, the baby just sort of gave the shepherds that goofy smile that babies give – the kind of smile that’s most likely just gas (but then again you never know) but there was God, giving those shepherds that goofy smile rendered yet more goofy by those infant eyes that don’t yet coordinate with each other, those infant eyes that struggle to see anything more than an inch away from the nose on their face! There!! That was the most-high God!!! And then, we, the stones of the cave, heard the little shepherd boy quietly laughing when he heard the baby pass gas – and we heard the little-shepherd-boy-laugh turn into a fit of little boy giggles at the next sound issuing forth from the baby – a sound indicating that all systems were a “go,” if you catch my drift. THIS WAS GOD!! How much more peaceful could God’s peace with the world be? But . . . . . . . . . . . . . . . . . . . . Would It Remain So? And oh, how we the stones of the earth then cried out in laughter and delight. And you know, we’re doing it still!! So hear us stones again cry out this night in witness, in testimony – this is our witness and testimony for you: The God who came to the world as the infant of Bethlehem, the God whose birth, life, death, and resurrection were for your restoration – that God has made peace with you, each and every Single . . . One . . . . of You! And this a peace that not a single one of you can make go away. Ever!! Come on now! Just look at the baby’s face, see his goofy smile. See, hear, and smell all that goes with this baby. Let there be no doubt that this baby loves you! Loves you! Absolutely to death. And now, may the light of that same Infant Christ Jesus shine upon you, shine in you, shine through you, all the days of your life until that same Christ comes to meet you as you go forth from this world to go home to God, to God whose peace with you shall never, ever end.